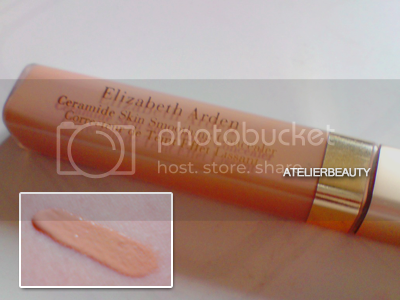 A concealer is a must-have, but finding that perfect one is a never ending mission. I have tried many throughout the years but it cracks my brain when I try to recall the first concealer I've ever purchased. Regardless, the following are the ones I use frequently; each performing its own little magic due to their different formulations and coverage. Remember: just because a product doesn't work according to its description doesn't mean it is useless. I have been using this for the longest time! Its creamy texture is super concentrated and efficient in covering imperfections such as dark circles, acne scars and existing zits. Unfortunately, the major flaw is that the formula is too dry and accentuates the fine lines under my eyes. 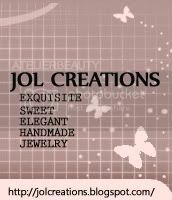 It can get cakey when applied with a heavy hand or with multiple layers. Even using a hydrating eye cream doesn't help. I used to own Shade 1 which is still MIA (assuming it's mocking at me in the Land of the Rising Sun) and it appeared ashy overtime. Shade 2 is more of a peachy shade that fits me to a T. Even my friend commented that I "looked awake" when we hung out yesterday. It may come in a small tube (and affordable price tag!) but a little goes a long way. Another one of my go-to with almost the same attributes as ZA's - creamier consistency and hydrates eye area with a fruity smell to boot. It contains Apricot Extract for radiance and Raspberry which acts as a micro-circulation activator. I think there's only 2 shades available at local counters, 51 and 52. The latter is of medium radiance but it's still too light, and leaves an ashy-white cast that made my eyes look puffy. It doesn't settle into fine lines and does an adequate job in concealing blemishes and redness. It is about the same price range and quantity as ZA's, a good alternative if either one isn't available in your area. 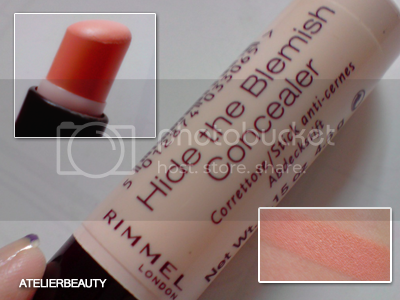 This product doesn't cover blemishes, not one bit! But what keeps me coming back is its ability to even out my skin tone. 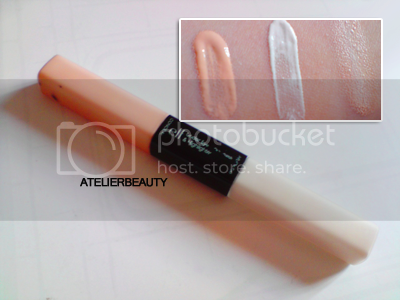 Stick foundations and concealers are generally on the drier side, but this one glides on the skin smoothly and blendable. Always blend with a foundation brush and heat from your fingers might cake up the formula. I tend to use this when my skin is in excellent condition with minimal need for concealing and set with mineral foundation for a natural finish. It also works well on my dark circles but do use a hydrating eye cream in advance. I generally love the Ceramide Plump Perfect skincare range, specifically the Exfoliator and daytime Moisturizer. In terms of makeup, the Lash Extending Treatment Mascara and Lipstick (Perfect Currant) impressed me in their own respective domains. The mascara doesn't clumps with multiple coatings and is va-va volumizing. Although the lipstick doesn't gives me that Angelina Jolie pout, it wins in terms of conditioning and "tames" dry skin flakes. The concealer comes with a sponge-tip applicator that minimizes wastage unlike the ones that come in tubes. It contains advanced Ceramide anti-aging benefits but fails to deliver the desired coverage for my dark circles. It could be due to the light shade which I got in Fair (2) which makes it impossible to blend in with my skin tone. The formulation is slightly drier than ZA's; fine lines are easily seen with 2 or more layers. Although I'm not impressed with the coverage, it is my go-to for touch-ups especially living under the humid weather when your makeup tends to smudge or sweat off. Creamy concealers take a longer time to blend and combine that with powder, you get an an uneven, cakey mess with the generated heat from your fingers. The EA concealer has the right consistency that literally melts into existing powder and blends without leaving any obvious signs of a touch-up. 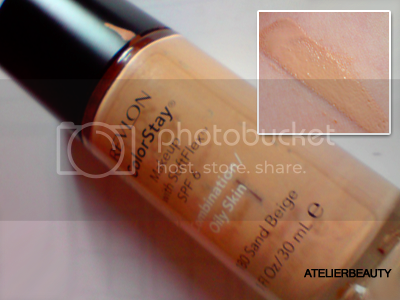 Another one in cream form; this product is more hydrating than the ZA & BOURJOIS concealers combined. Easy to blend but takes a while for the formulation to set. It comes with sponge applicators and I only use this to brighten up my eye area; mixing in the pigments before application and blends well over powder. I don't notice any lifting effect and the brightening doesn't last. Sometimes I find it borthersome to bring out so many products with me, so I use white eyeliner as an alternative to make my eyes look more awake. In this case, get a creamy eye pencil (I use Sephora Kohl Expert). If I need to be outdoors for more than 5 hours, I use another method which will be elaborated in a future post. 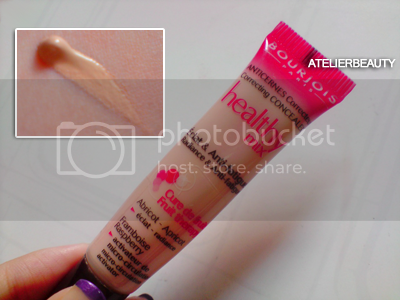 Yes, this is a foundation but you can't deny the excellent coverage. 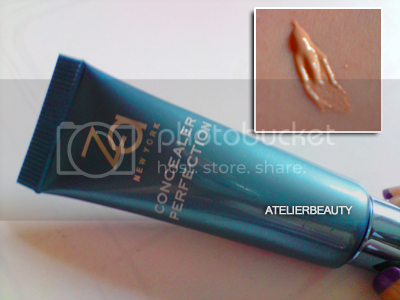 I skip concealer altogther since this product can do double-duty. But on days when I need to be outdoors for many hours and yet prefer to wear minimal makeup, I would reach for this long-lasting product to cover any flaws without any worries of smudging and smearing. Needless to say, you need a good makeup remover and patience for this stubborn stay-on. Just like eyeshadows, don't be afraid to play around with your concealers and foundations etc. Mix and match to find that perfect combination. At the end of the day, you want a flawless complexion.